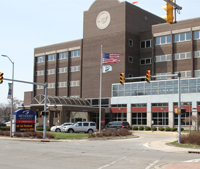 Visiting Hours: 8:00 a.m. to 8:00 p.m.
Methodist Hospitals is leading the way to better health for the communities of Northwest Indiana, implementing patient-centered initiatives that include investing in the latest treatments, technologies, and safety programs. Methodist's two full-service campuses are just 14 miles apart. The Northlake Campus is located in Gary and the Southlake Campus in Merrillville, the heart of a large, growing suburban area and one of the Midwest’s busiest retail centers. Each of our hospital campuses is comprised entirely of private rooms. 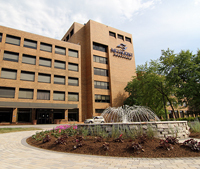 Our outpatient facility, the Midlake Campus in Gary, is conveniently located between the Northlake and Southlake campuses just off of Interstate 94. Since 2003, Midlake's Rehab Center has provided exceptional outpatient rehabilitation services. 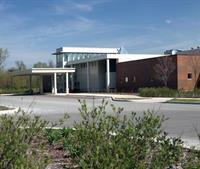 Physician offices and other services are also located at this facility. A growing network of physician practices has extended our services to Crown Point, Hebron and St. John, with additional office locations in the planning stages. Methodist Hospitals is a not-for-profit, community-based healthcare system, which is governed by a 20-member Board of Directors. Methodist Hospitals is also a strong advocate for the continued physical, emotional and economic well-being of the residents in the many communities we serve. As stewards of our mission, we reinvest in our community through providing charitable care, community education programs and support services.